Lyme disease when untreated can be a life-threatening illness that many Canadians struggle to get an appropriate diagnosis for. While Lyme disease is a relatively common infectious disease spread by ticks, it can be difficult to diagnose due to the lack of education and testing available to doctors. Common symptoms include brain fog, fever, migraines, chronic fatigue, muscle and joint aches, and swollen lymph nodes to name a few. Chronic Lyme disease can lead to co-infections, allergies, and infections that can be deadly. In Toronto, Enviromed’s team are Lyme-literate Naturopathic Doctors. We are uniquely experienced in diagnosing and treating Lyme Disease, alongside Lyme-literate medical doctors. Are you suffering from LYME DISEASE? Lyme disease is a relatively common infectious disease spread by black legged tick found in tall grasses and wooded areas. It can cause a number of severe health complications if left undiagnosed. The first sign that someone may be developing Acute Lyme disease is the development of a rash on a their skin. The rash appears around the area they were bitten by the tick, and often has a bull’s eye shape. It is itchy and sensitive to the touch, and develops about a week after the tick bite first occurs. If this rash is noticed in time, a person can receive a standard antibiotic treatment that clears the infections and prevents Chronic Lyme Disease from developing. However, not everyone who gets infected with Lyme disease develops or notices the rash, meaning that many people live with undiagnosed cases of Lyme disease for years. This is Chronic Lyme disease which requires a different treatment approach than Acute Lyme disease. Once the rash disappears, receiving a diagnosis becomes difficult, as symptoms often overlap with that of other diseases. If you are experiencing any of the following symptoms and have not been able to find a diagnosis or treatment that provides relief for your symptoms, you may be suffering from an undiagnosed case of Lyme disease. Why is it so tough to get a diagnosis for Lyme Disease? Canada is suffering a Lyme crisis. Many doctors don’t have training and experience in detecting Lyme disease. Since the symptoms are so similar to other illnesses, unless specific tests are done, it will be missed. A misdiagnosis can lead a patient down a treatment course for the wrong illness for months, even years. Meanwhile, their condition has continued to decline despite treatment. The first step is to get the right diagnosis. At Enviromed, our Lyme-literate Naturopathic Doctors are experienced in investigating, diagnosing, and treating Lyme Disease, alongside Lyme-literate medical doctors. 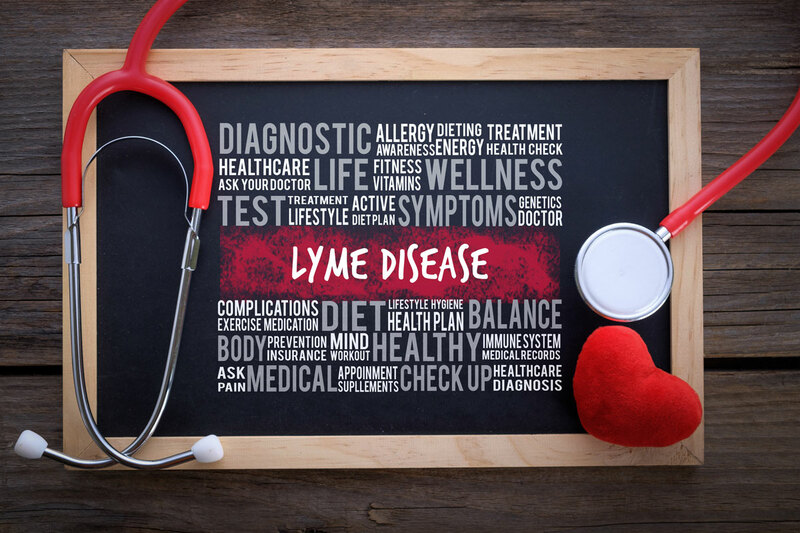 Treatments for Lyme disease include natural and conventional medications, lifestyle changes, stress mitigation, and a complete dietary overhaul, all of which have been proven to help people suffering from the long-term consequences of undiagnosed Lyme disease.